Joining xls file with shapefile attribute through ModelBuilder? I have folder contains xls files and I need to make join for each file with a shapefile attribute using ModelBuilder. and obtained "Precondition" option only. Browse other questions tagged arcgis-desktop arcmap modelbuilder attribute-joins iteration or ask your own question. Joining Excel with ArcMap by ModelBuilder? Deleting features (rows) from shapefile (attribute table) using ModelBuilder? Joining spatially AND on attribute in ArcGIS ModelBuilder? Joining .csv with shapefile in ArcGIS Desktop? 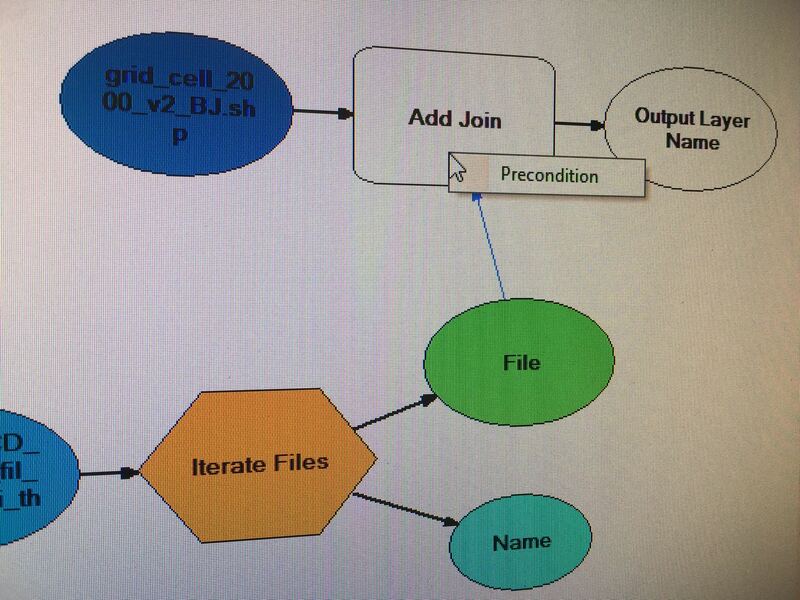 Using iterator to merge Excel files into Shapefile with ModelBuilder for ArcGIS Desktop?